Go Green or Black OUT! From the cleanup of the BP oil spill, to the Go Green campaigns and the invention of electrical cars, to even the LED phenomenon of our electronics, effective natural resources management has become more and more necessary to save our environment and humankind. This may sound like a bit of a stretch, but it is important to note that the events above are in place to help decrease future earthly deterioration. As such, we must all take a proactive approach to curb the effects of global warming and climate changes so that there are less negative effects on our environment and less harm to all earthly creatures. There have been several initiatives implemented to help curtail future issues of environmental degradation and to help preserve the Earth. 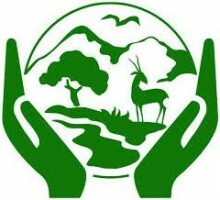 Two main initiatives are worth mentioning in terms of preservation and conservation of our environment. The first is the famous Go Green campaigns across the globe and the second is President Obama’s action plan on climate change. Go Green campaigns have increased over the last decade. Many companies, including those in the Fortune 500, have embraced this concept and are making efforts to run smoother and “cleaner” operations. Some of these green giants, as I like to refer to them, include Kohl’s Department stores, North Face, Dell, Inc., Apple, Inc., and even the learning giant, Pearson. The EPA Green Power 2013 Leadership award winners list, which included Pearson, noted that it is a “leader in green power purchasing and as of April 2013, ranked No. 37 on EPA’s National Top 50 list. Pearson was the first global media company to commit to becoming climate neutral, achieving this goal every year since 2009, and has since continued to reduce its environmental impacts including through green power purchases. This is where effective natural resources management comes into play. From an organization’s CEO, to government officials, to the citizens across the world—we all have a role in managing natural resources. Think about your energy and electricity consumption each month. By reminding your children and yourself to cut off the light when you exit the bathroom or bedroom can have a huge impact on reducing your electric bill. The chief of a branch government office may consider holding a contest between different units to see who will remember to power down their computers at the end of each workday. The winning unit may be offered a free lunch (paid for by the chief) or a paid time-off award. This will not only help in the fight against high energy costs, but it will also help boost employee morale and encourage them to save the organization some money! Some military bases hold mandatory energy days (which usually precedes or follows a major holiday) to help conserve energy and reduce costs. All of these events support the national Go Green campaign. Finally, citizens across the world can join in supporting effective natural resources management by being mindful of their actions. Making small changes to our daily routines can make a huge difference in helping improve our environment. This can include powering down your computer each day before leaving work or retiring to bed, participating in telecommute and telework positions and/or buying more fuel efficient vehicles. Whatever the case may be, effective natural resources management is a group effort that involves the work of top management personnel, employees and everyday citizens. Being aware of the actions that cause environmental deterioration, such as global warming and pollution, will help natural resource managers, climatologists and policymakers find meaningful solutions to help save our world. However, this will not be any easy task, as it will require continuous creativity and innovation to ensure that our climate, air quality and health remain intact for years to come. Consider making greener and cleaner decisions like buying that LED 50-inch television, telecommuting to work, or just volunteering to clean the litter from the city streets. Doing so will keep us all out of the dark and help us breathe a little easier.